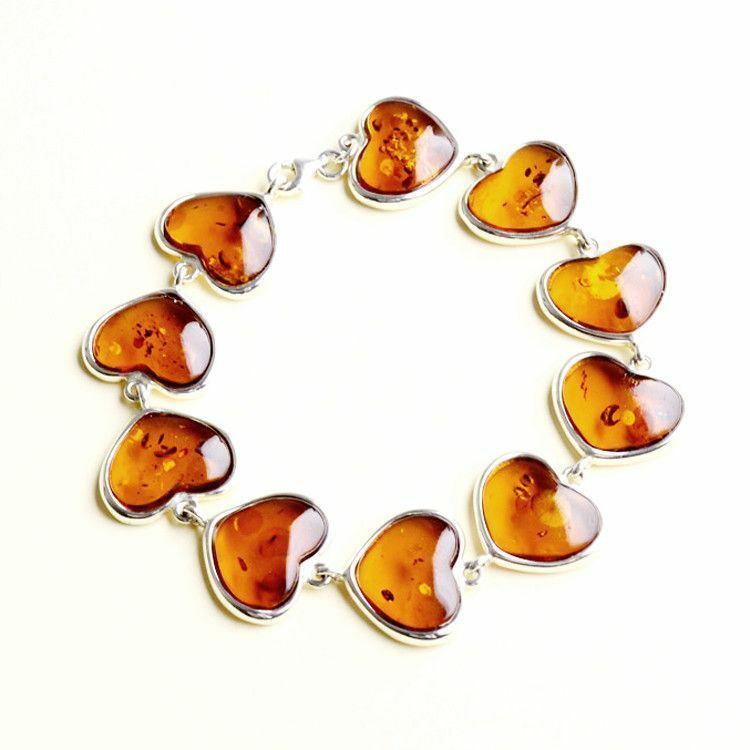 This bracelet made up of ten rounded hearts features honey amber outlined by sterling .925 silver. 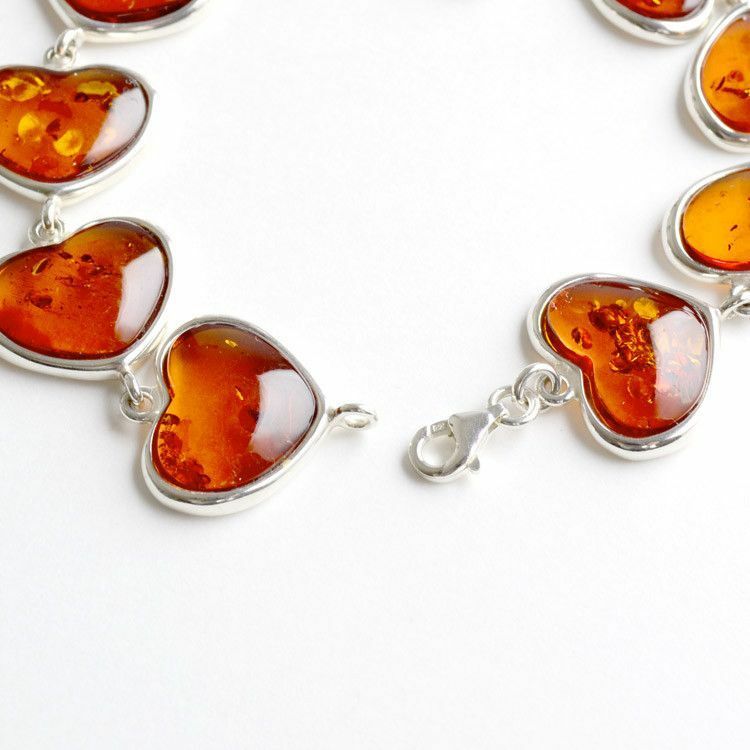 Look closely and you'll notice each heart is a little different due to the natural inclusions associated with amber stones. The clasp is lobster claw style and the bracelet is cute style! Hearts are 5/8" x 5/8"